You have NOT played mini-golf until you’ve played at Emerald Hills… two beautiful courses in a lush setting offer a challenge and a wacky good time! Golf sales end one hour before closing. Golfland has some of the newest and most exciting games in the area. Come join the fun and play to win great prizes at our redemption counter. 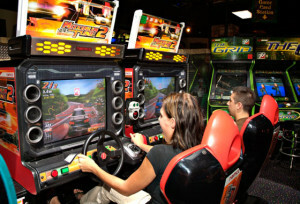 Race around the world, battle skilled Kung Fu masters, shoot aliens & robots, or play skill games for tickets in our game arcade. Indulge in one of our delicious food options! Golfland has great food without the theatre prices. 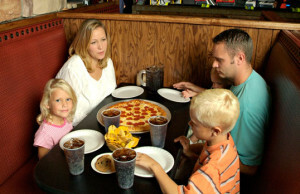 We offer Nachos, Pretzels, Soft Drinks and Icees. Now featuring Iceberg THICK THICK Shakes! Take a ride on the Golfland Water Slides! Slide your way down our waterslides and drop into the refreshing pool below. Check operating schedule for hours and season information.